Dr Ben Bocchicchio (drbeno@hotmail [dot] com) has been an innovator and leader in the fields of fitness, exercise, and health since the 1970s. 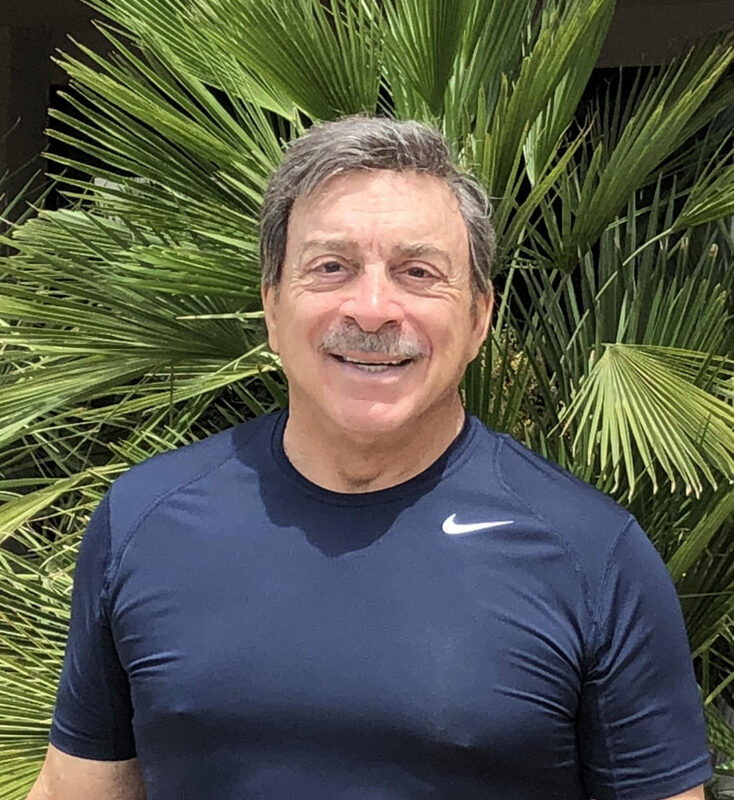 He founded Sports Conditioning in Staten Island and developed programs for weight reduction, cosmetic enhancement, general fitness, and health and rehabilitation. Dr Ben owned and supervised a number of private fitness and health centers from the early 1970s. He also developed and owned spine and cardio vascular rehabilitation centers, where he used his S.Ma.R.T.-EX™ program. Dr. Ben has continued his work in the fields of fitness, wellness, and health to this day. He currently maintains a private fitness and health practice in Arizona. This successful business includes medically managed weight loss programs that combine prescription medication therapy, nutritional counselling, and supervised exercise. Now in his 70s, Dr. Ben continues to train regularly using his S.Ma.R.T.-EX™ training system. This enables him to maintain a high level of strength, significant muscle mass, and low body fat. He continues to be a much sought-after expert and consultant by corporate, educational, and individual clients. Dr Ben Bocchicchio with Fat Emperor – #Resistance #Training for the win! Entertaining conversation but I thought there was close to zero actual useful information on this episode unfortunately. Like the man and his way of seeing things regarding exercise and nutrition. That offer Lawrence, at the end………..make it goddamned possible. try to include Jim Flanagan and Gary banister. Why? If we want to act in the future(and that IS now) we better know the history. Much is known but some just kind of. – The benefits of strength training seem pretty unambiguous, and the use of HIT to do strength training seems very safe. There are probably not any long term concerns that arise from training that way. Perhaps the worse you could say is that it might not be optimal for bodybuilders, or those with an interest in endurance sports. – Nutrition seems different: leaving aside short term consequences such as weight loss and appetite control, which have been studied, there are potential long term health consequences that have not been well studied. And the nature of an optimal diet remains murky in medical and nutritional science circuits. Ivar Cummings and Ben Bocchicchio may be thoroughly convinced that low carb/keto type diets are the ideal way to live. But until it is the standard of care, it seems that trainers who are lacking in medical or nutritional credentials ought to tread carefully. His examples of people getting embroiled in lawsuits or losing medical licenses is enough of a caution. Regarding low carb/keto reversing diabetes: there is some debate over whether this approach has reversed diabetes, or just has helped the patient gain better control over a symptom, elevated blood sugar. Some would suggest that if T2 diabetes were truly cured, people could return to eating a higher carbohydrate diet. I agree that once a week might not be ideal with regard to metabolic health, even if it is adequate for building and maintaining muscle. BTW, I think Doug pushed the idea of global metabolic conditioning, which isn’t quite the same thing as metabolic health as I understand it. On his observation about declining endurance: it seems pretty universal that as you age, your maximum heart rate inevitably declines (recall that the rule of thumb for estimating max heart rate is 220-age). That would seem to be the most obvious explanation of why his peak rate of sustainable oxygen consumption is declining. Contrary to the low carb/Keto zealot’s gospel, there is a good amount of evidence to suggest that type two diabetes isn’t a disease caused buy “excess carbs” but buy the accumulation of fat in the pancreas (as a result of obesity). I’d suggest then that low carb/Keto does in fact work…by introducing a calorie deficit resulting in weight loss. Great comment Greg. Thanks for correcting me regarding Doug’s claims in Body By Science. I knew I may have misspoke as the words came out of my mouth! Although this interview was better, more questioning the comments of Dr Ben on the SuperStatics and his conversation with Ken Hutchins would have been enlightening. Sadly there were no forthcoming comments. Dr Ben’s book outlines 3 weekly aerobic workouts. There was no questions about this. Why not? Did we not review his book? A round table discussion would be nice to hear with Dr. Darden, Dr. Ben, Dr. McGuff, Ken Hutchins and others. What you would not need or want is a biased moderator. Ask tough questions, and do some research on these tough questions. For example, a 12 minute weekly workout based on Global Metabolic Conditioning sounds good, until tough questions along with research reveal deeper truths….. it ain’t that simple. nutritionfacts.org is good science for Nutrition info. low carb/keto are not that good for type diets.